Our favorite unofficial holiday; the baseball Home Opener and our Opening Day Kit. 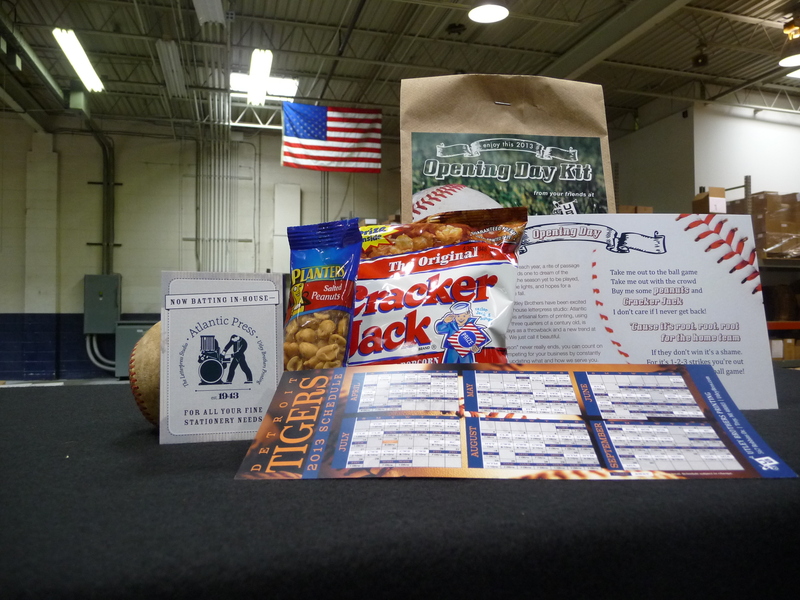 This year a magnet schedule is featured along with an Atlantic Press baseball card and of course, peanuts and Cracker Jack! All printed on our MGI DP60 digital press. Let us know how we can help you score big this season. Play Ball! I am a runner (still trying to to qualify for the Boston Marathon) and I work at Utley Brothers Printing, my family's 3rd generation printing company.